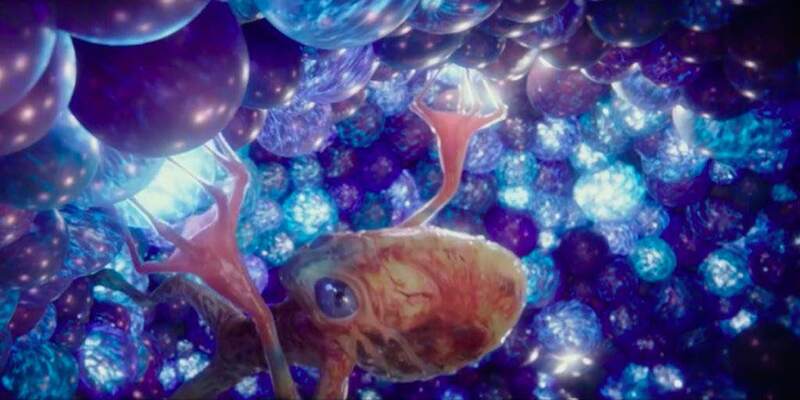 Valerian And The City Of A Thousand Planets Trailer Debuts | Nerd Much? The second trailer for Valerian and the City of a Thousand Planets has been released and it is indeed, formidable. It’s probably the most beautiful trailer I’ve seen in a long time, probably since James Cameron’s Avatar in terms of scope, pretty blue lights, and uniquely designed alien creatures. If nothing else, any one moment in this trailer would make a great poster or desktop wallpaper. As it is, Valerian looks like it’s going to be as impressive as Dune or Star Wars. Though that might be setting the bar a bit high, as the synopsis makes it sound like Mass Effect 3 all over again, not that’s a bad thing! Valerian is to be directed by Luc Besson, who also worked on The Fifth Element, The Professional, and Lucy. Fifth Element is a cult classic and one of my favorite films, so again, high hopes for this new film. Valerian will star Dane DeHaan (as Valerian), Cara Delevingne (as Laureline), John Goodman, Ethan Hawke, Clive Owen, Rutger Hauer, and Rihanna. Admittedly, I can’t wait to see more of the latter musical siren than the trailer shows. “Valerian (Dane DeHaan) and Laureline (Cara Delevingne) are special operatives for the government of the human territories charged with maintaining order throughout the universe. Valerian has more in mind than a professional relationship with his partner- blatantly chasing after her with propositions of romance. But his extensive history with women, and her traditional values, drive Laureline to continuously rebuff him. The film will hit theatres July 21st, 2017 and is included in our calendar of upcoming sci-fi movies that we’re looking forward to, so be sure to check that out for more exciting titles. As a side note to for the truly Nerd Muchers out there: the etymology of “valerian” has less to do the sedative than the Latin word “valere” which means to be strong and healthy. A perfectly fine name for a super hero, not a sleeping beauty. Are you looking forward to Valerian? Do you think it will be another Avatar or Star Wars? Let us know your thoughts in the comments below.